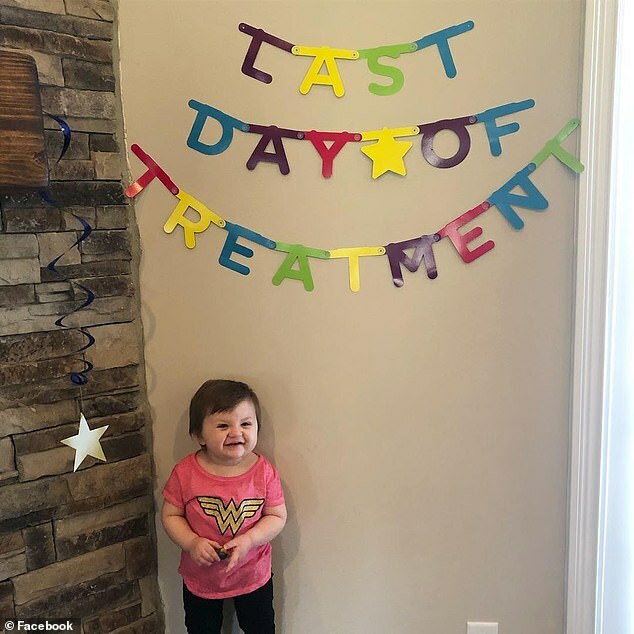 Molly Hughes wasn’t even a year old when she was diagnosed with stage four cancer – but after nearly a year-and-a-half, the Kentucky toddler is now cancer-free. 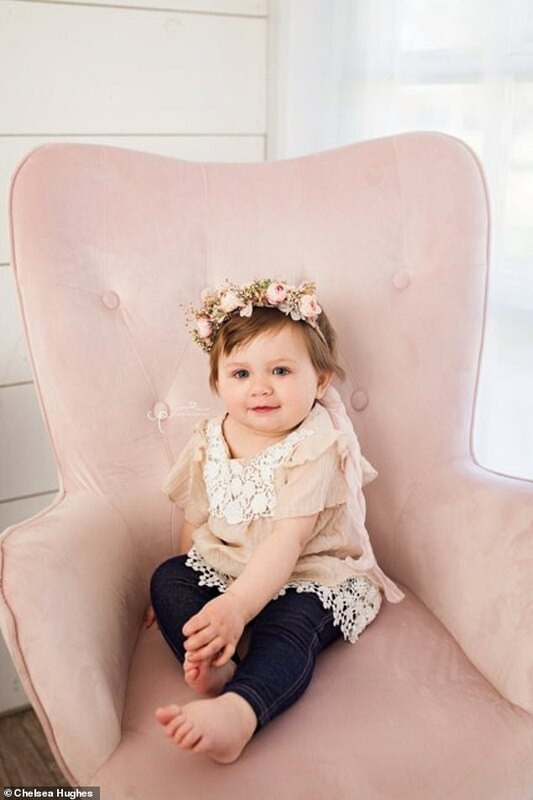 When she was just under five months old, doctors discovered that Molly had neuroblastoma, a cancer that typically strikes children under age five. The toddler endured 15 months of chemotherapy, her mother, Chelsea Hughes, told WKYT. But now that she’s free of the hospital, Molly is ‘just wild,’ joyfully playing outside, as if her cancer battle never happened at all. There could be no sweeter relief for Chelsea than the moment she got the news that cancer no longer showed up her daughter’s scans. ‘I kinda just fell to the ground after I got off the phone and I just hugged her for like five minutes,’ she told WKYT. Molly’s cancer began with a genetic mutation that disrupts the development of immature nerve cells. Typically, these cells, called neuroblasts, eventually become the adrenal glands which sit on top of the kidneys and produce important hormones. These don’t become fully formed until after birth and, in some cases, the immature cells can divide out of control and become cancerous. Neuroblastomas may form in the abdomen or chest. Abdominal neoroblastomas may cause pain in the area and either constipation or diarrhea. Chest tumors may likewise cause pain there, wheezing, and eye abnormalities, like droopy eyelids or unequally sized pupils. It didn’t take long for Chelsea and Molly’s doctors to realize that something wasn’t right with her baby girl. As soon as she was diagnosed, at five months, Molly underwent surgery to remove her tumor, followed by radiation and chemotherapy. 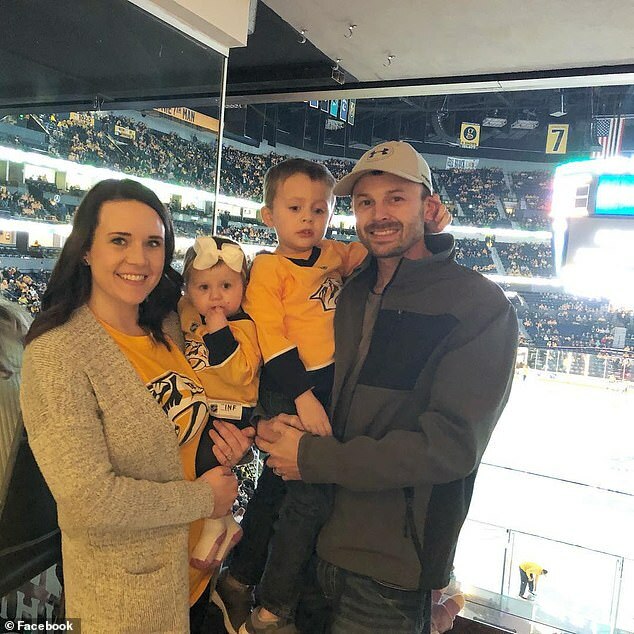 In the US, about 800 people – mostly infants and young children – are diagnosed with neuroblastoma a year, but with treatment, 80 percent of children are still alive five years later. While undergoing chemo and radiation, Molly had to spend 130 days in the hospital. ‘I don’t think people realize, until you actually go through it, just how hard it is,’ Chelsea said. 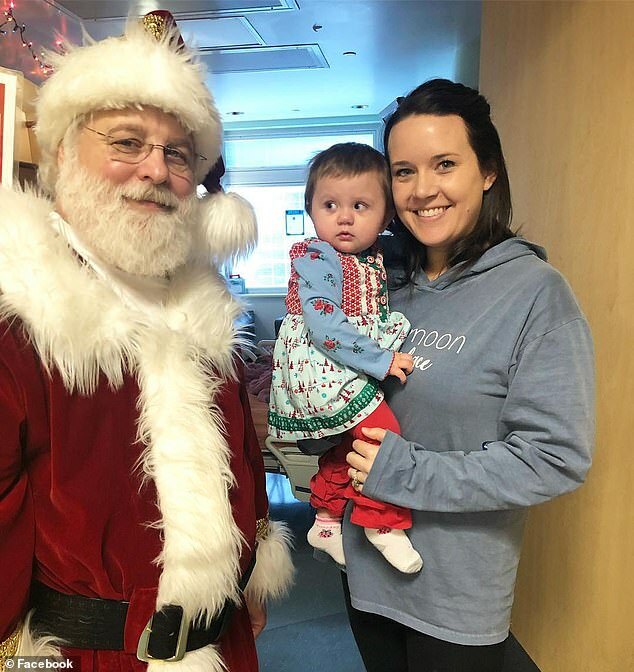 In addition to the hardship of treatment itself, Molly looked fine and healthy, and Chelsea found herself having to explain her daughters illness over and over again. But her little girl was resilient from day one. 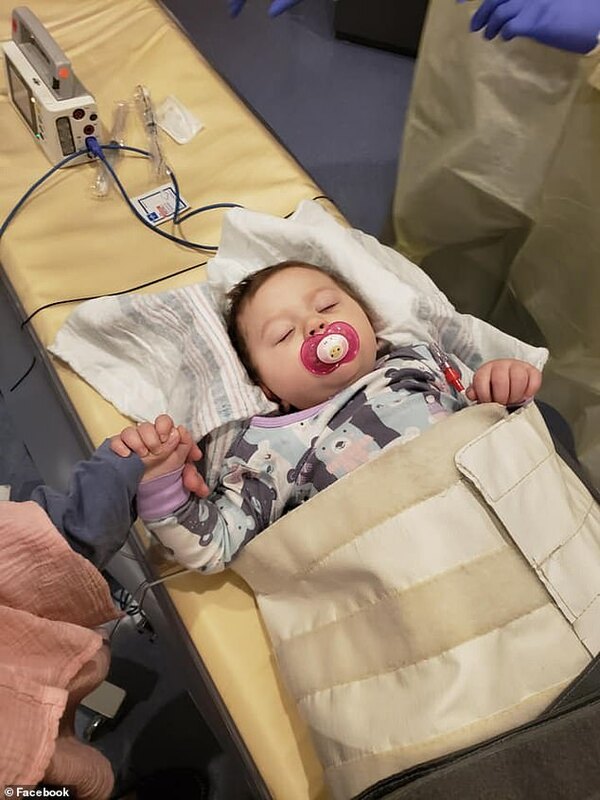 ‘She would just bounce back after every treatment, I mean it would knock her down for a few days, but then she’d be up playing,’ Chelsea said. 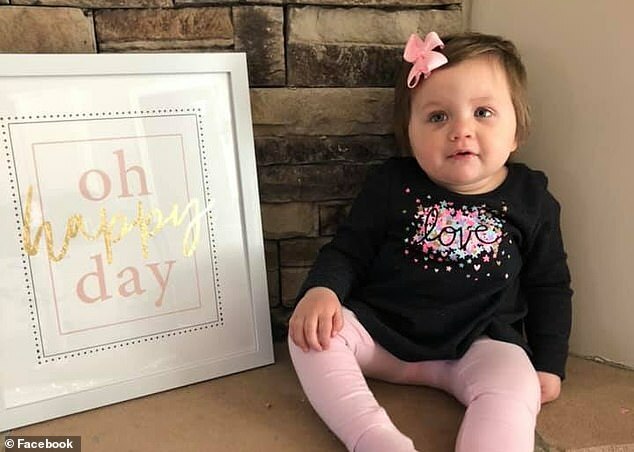 The family rallied around the bubbly toddler, making the hashtag ‘Molly Strong,’ words that Molly herself often wore on tee-shirts while undergoing treatment. But, at last, Molly can stop fighting and go back to doing all the things a 21-month-old should – and she hasn’t missed a beat. ‘She loves being outside from the time she gets up til she goes to bed, she’s just wild,’ said Chelsea. The grueling cancer treatments damaged Molly’s hearing, but it doesn’t seem to slow her down much. Most neuroblastomas don’t come back – only five to 10 percent of patients have recurrences – but, just in case, Molly will join a clinical trial and start a new drug to prevent relapse on Monday.